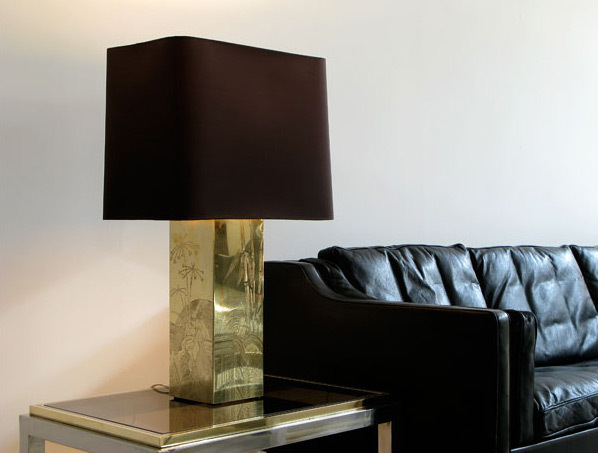 Large brass table lamp featuring a square base that is hand etched with a modernist abstract flower pattern. Large shade newly covered with a deep chocolate brown silk velvet. Grande lampe de table en laiton, base carrée, gravée de motifs fleuris modernistes. Grand abat-jour en soie brun foncé.